unaffordable large metropolitan areas for renters in the U.S, other cities, such as New York and San Francisco have slightly better wages to keep up the pace of the pricier rents. And while others argue, that downtown Los Angeles has to build to keep up with population and the people who move here because of the beautiful weather, the lifestyle and the opportunity, and that times have changed because more people today are renting over homeownership. Renters prefer the location of where they are living where it offers more amenities, with the closeness to grocery shopping, schools, and parks. “It would appear from our new survey that renters today feel better about saving their finances, like where they are living, and view renting favorably,” says David Brickman, an executive vice president of the Freddie Mac Multifamily. A recent study from the University of Southern California Lusk Center for Real Estate and Beacon Economics predicts Los Angeles rents will raise an average of $136 per month over the next two years. A recent analysis by Zillow found that a 5% swell in rental prices could force close to 2,000 Angelenos out of their homes. With downtown Los Angeles’s construction hitting a growth spurt, housing experts agree that a gap still exists between people who can afford to live in new apartment complexes, which experts say targets the top 10% or so of the renter base in L.A. and those who actually want to settle in Downtown L.A.
A recent press release on hud.gov reveals the building construction statistics of January’s rate increased at above 1.2% since last December and 1.9% above January of 2017. And with Los Angeles.’s vacancy rates at pressing rates of its highest level in two decades, it makes you question whether building owners are overbuilding, expresses the Local Records Office. And meanwhile, building owners are offering free incentives to lure renters in, from six months of free rent to one-year free parking, with the median price of a one-bedroom around $2,500 per month, according to the rental site Zumper. And with the vacancy rates so high, Thelmy Perez, part of the group Los Angeles Community Action Network, has recently spoken out against a luxury apartment building at Seventh Street and Maple. In other words, it is likely Los Angeles will continue to be built by national developers. While companies and firms are looking to move to Downtown, the larger employers want to attract workers with diverse housing options, by selling a live-work-play environment, says Durnin of CBRE’s. 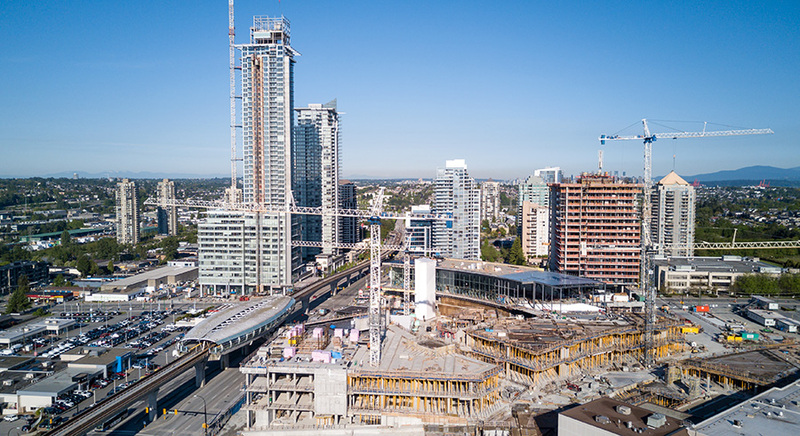 Durnin explains, the bigger problem remains with a lack of the number of spaces for certain large retailers in the Downtown core, there are a number of retailers waiting for buildings to open with new retail space that does not require complicated rehabbing. And despite the high vacancy, downtown Los Angeles still suffers from a severe shortage of workforce, from teachers to service workers and low-income housing. Though research suggests that future, ongoing new projects will be important to support the greater middle-class contingent of renters than what exists today.